What domain do you use? Recently we found some news (surprisingly not spread enough before) about using .IO domain issues. On September 2017 it was a big outage happened to about 20% of DNS resolutions for all .io domains. They were totally broken. 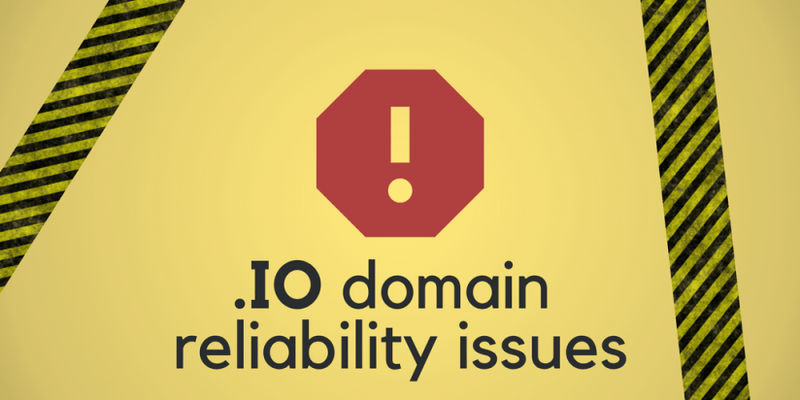 So you’d better be aware of .IO domain name reliability issues. .IO domain is not a great choice anymore. The outage on September 20th showed how severe the problems and support infrastructure are. Despite that it was hard to find people complaining about that, there were a lot of outages. Read more about a global outage at the ‘.io’ top-level domain here.